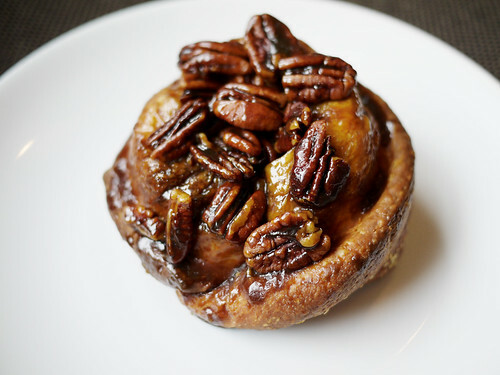 I had breakfast at Oro this morning and could not resist snagging one of the coveted and rare pecan buns. There must have been a mishap with the scale because this pecan roll was GINORMOUS. We each had half, but even so I feel stuffed to the brim.